Ancient Troy has been the subject of archaeological research for a very long time: systematic excavations have been conducted at the site since 1863. This makes Troy exceptionally suited to study the development of archaeological field practice. Each team excavating at Troy did so with their own methodologies and techniques. We want to know the effect of these changes on interpretations about the site. Excavation at Troy was paused from 2005 until 2016, when new excavations were started, directed by Professor Rüstem Aslan from the Çanakkale Onsekiz Mart University in Turkey. Professor Aslan has kindly invited a team from the University of Amsterdam to participate in the excavations. The team of the University of Amsterdam is specifically addressing the importance of Troy for the history of archaeology. Systematic excavations have been carried out since 1863, when Frank Calvert began to dig for Homeric Troy at the hill of Hissarlik. Since then, some of the most renowned archaeologists have excavated there: Heinrich Schliemann (1871-1890); Wilhelm Dörpfeld (1893-1894); Carl Blegen & Marion Rawson (1932-1938) and Manfred Korfmann & Brian Rose (1988-2005). In the more than 150 years since the beginnings of excavations at Troy, archaeology has experienced significant theoretical paradigm shifts and methodological advances: the first excavations at Troy were conducted before the use of photography; the newest research incorporates satellite imagery and digital recording! The long history of the excavations at Troy makes the site ideal to study changes in archaeological field practice and relate them to theoretical developments in the field and to academic and public interpretation. The data for this research will come from the study of publications and field documentation and from the excavation of backfilled trenches and dumps. The conclusion of our research will help us to understand better the process of archaeology itself. The project aims to understand better the relationship between research objectives, archaeological methods and interpretative narratives on Troy. What materials were collected and what was thrown away? What was documented in the field and what was not documented? What ended up in the publications and what did not? The answers to these questions will show the long-term development of field methods at ancient Troy and the relation to archaeological interpretations. In order to be able to study these relations in detail, the focus will be on three interpretative issues that continue to be subject of debate: the assignment of specific archaeological contexts to the Trojan war (1); the stratigraphy of Troy (2); the emphasis on Anatolian or Greek cultural influences at Troy (3). Two excavation seasons at Troy have been planned: in the summers of 2018 and in 2019. In addition, there will be study campaigns in the spring to study excavation documents, such as field notebooks, photographs and drawings. Many of these can be consulted at the Korfmann Study Centre in Çanakkale in Turkey. The 2018 campaign has received a basic grant from the University of Amsterdam, which covers some operating costs and travel for the applicant. A study trip for 2 persons to Athens is also funded. We seek to fund a spring campaign for 2 persons at Çanakkale in Turkey and the summer campaign (5 students) at Troy. Lodging at Troy is kindly provided for by our Turkish colleagues. The results of the 2018 campaign will be published after the summer, with a first report in September. They will indicate the possibilities for further research in 2019. This is a really exciting experimental project, doing something completely new at this place everybody knows. It will not only help understanding Troy and explaining important episodes in the history of archaeology, but also stimulate future work, at Troy and elsewhere. This project deserves a lot of support! The team is headed by Gert Jan van Wijngaarden. For Fleur, Nina and Vita, the fieldwork is part of their MA program. Ailbhe and Bart have excavated at Troy in 2016 and 2017 and wish to continue. The Amsterdam Troy Project is part of the new excavations at Troy, directed by Rüstem Aslan of the Çanakkale Onsekiz Mart University. The Amsterdam and Turkish teams collaborate closely, making this project a truly international endeavour. 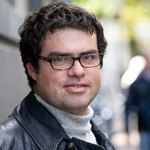 Dr Gert Jan van Wijngaarden (1964) is Associated Professor in Mediterranean Archaeology at the University of Amsterdam. 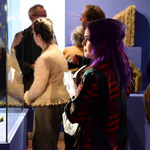 His experiences with Troy started in 2012, with the museum exhibition "Troy. City, Homer, Turkey" in the Allard Pierson in Amsterdam. The good collaboration with Turkish colleagues during this exhibition resulted in the possibility since 2016 to participate in the renewed excavations at Troy. 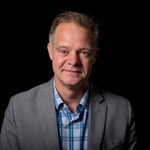 Dr. Van Wijngaarden has excavated at several sites in Greece and is also director of the Zakynthos Archaeology Project. Fieldwork at Zakynthos has finished and the final publication is being prepared. Meanwhile he is starting this new project on the Archaeology of Archaeology at Troy. 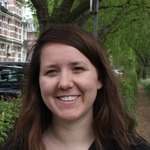 Ailbhe Ni Thoirealaigh is an MA Graduate from the University of Amsterdam. She gained her Bachelor Degree in Ancient History and Classical Archaeology from the University of Edinburgh. Following some international museum internships and excavation experience throughout the Mediterranean, she developed an interest in ceramic studies, and in particular the Bronze Age. She joined the Troy excavations during the first of the renewed campaigns in 2016. After a year as trench supervisor, her focus has since been on the finds processing and documentation of the campaign. 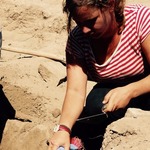 Vita Gerritsen received her Bachelor-degree in Archaeology at the University of Amsterdam, and is currently in the finishing stage of a (research)Master in Archaeology at the same University. She has participated in a number of archaeological excavations and surveys in the wider Greek world, including serving as a trench supervisor in the 2017 excavation at Troy. Nina Magdelijns gained her Bachelor-degree in Archaeology at the University of Amsterdam. At the moment she is in the second year of the research Master in Archaeology at the same university, with a focus on the Greek Bronze Age. She participated in excavations in Italy and the Netherlands and was a trench supervisor in the 2017 excavation at Troy. Bart Rendering is a MA Graduate from the University of Amsterdam and the Vrije Universiteit Amsterdam. He gained his Bachelor Degree in Archaeology from the Vrije Universiteit Amsterdam. He participated in excavations and material studies in the Greek World, focusing on the Neolithic and Classical period, as well as being trench supervisor in Neolithic and Roman excavations in the Netherlands. 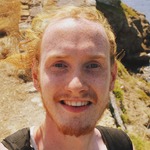 He joined the Troy Project from the start of the new excavations as trench supervisor in 2016 and 2017. We will not be looking for Achilles, Hector or Helena at Troy, but for the founding fathers (and mothers) of archaeology: Heinrich Schliemann Wilhelm Dörpfeld, Carl Blegen, Marion Rawson and others. All people backing the Amsterdam Troy Project will be sharing in the experience by frequent updates on the progress of research. Moreover, during the summer campaign, there will be the possibility to have live contact with the students excavating at Troy. After the summer campaign, you will receive an exclusive report on the results of the 2018 campaign.